TOP ECONOMY Soup is the affordable, top quality economy soup option when catering for large social gatherings or school and other feeding programs. 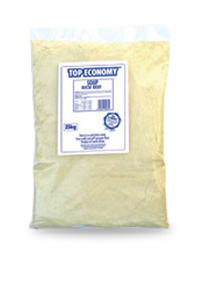 TOP ECONOMY Soup can be used as a base for casseroles, stews, sauces or even as a coating. The product is versatile and is very effective when used for thickening.